The former Prentice Women&apos;s Hospital, a structure that has been the subject of an intense and national preservation battle, was finally given--albeit briefly--city landmark status Thursday. But the designation lasted just two hours and 21 minutes. 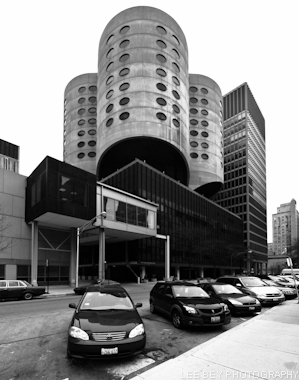 In one of the most unusual proceedings in Commission on Chicago Landmarks history, the nine-member panel voted to grant preliminary landmark status to the Bertrand Goldberg-designed building, then hours later voted 8-1 to rescind its own decision. The second vote in support of the city Department of Housing and Economic Development&apos;s argument that preserving Prentice would harm Northwestern University&apos;s ability to build a major biomedical research facility on the site. Commissioner Christopher Reed was the lone dissenting vote. Normally, a vote in favor of a preliminary landmark status protects buildings for a year while staff from the Department of Housing and Economic Development&apos;s landmarks division does additional research and works with owners to decide if a permanent designation is warranted. For Prentice the process was compressed into a single afternoon, when DHED&apos;s managing deputy commissioner Mike Jasso requested--on behalf of his commissioner, Andrew J. Mooney--the landmark panel rescind its decision. "Let the process run its course," Jonathan Fine of the Save Prentice Coalition later countered during public testimony. "How can this be a fair process?" Phil Enquist, urban planning partner at architecture firm Skidmore Owings & Merrill said a better master plan for Northwestern&apos;s sprawling Streeterville campus could make provisions to save Prentice and allow for the construction of the research facility on one of vacant parcels within the district. "If we put the pieces together, everybody wins," he said. "If you permit the demolition of Prentice Women&apos;s Hospital, everybody loses." There were voices in favor of demolition, including the site&apos;s former long-time alderman, Burton Natarus, who credited Northwestern hospital with saving his life in January. "That&apos;s not a good piece of architecture," Natarus said. "It&apos;s not. It&apos;s unusual with the round windows....we have a [Yiddish] word for it: Fershimmeled." The vote likely spells the end for the iconic 37-year-old building, 333 E. Superior. Northwestern University Senior Vice President Eugene Sunshine told the commission the school would begin the process of seeking a demolition permit within weeks and would "move with as much alacrity as possible." Mayor Rahm Emanuel and Ald. Brendan Reilly (42nd) have recently spoken in favor of Northwestern&apos;s efforts.